Alum Gretel On Her Hike! Alumni Gretel is doing great! We have had Gretel for two years. She backpacks every summer with her own pack. She has her very own girls to take good care of her. Gretel and the girls share a tent on the camping trips. 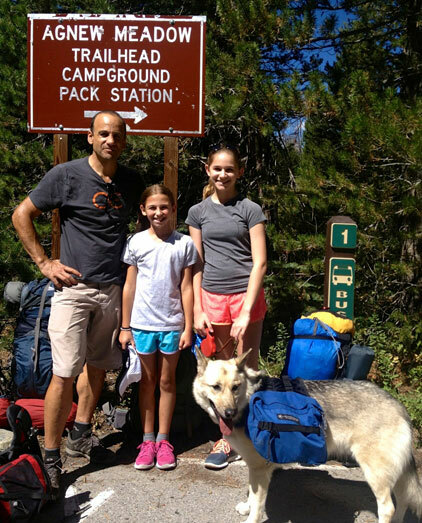 Thanks GSROC for rescuing Gretel and bringing her into our lives. She completes our family.